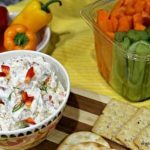 This tasty Garden Vegetable Cream Cheese Dip is easy to make with fresh vegetables and cream cheese! Hello Friends! I don’t know about you, but Monday came a little too soon for me. We went to the Rams game and did a little home organizing too. We had some fun taking the train to the Rams football game and it definitely feels like fall already. 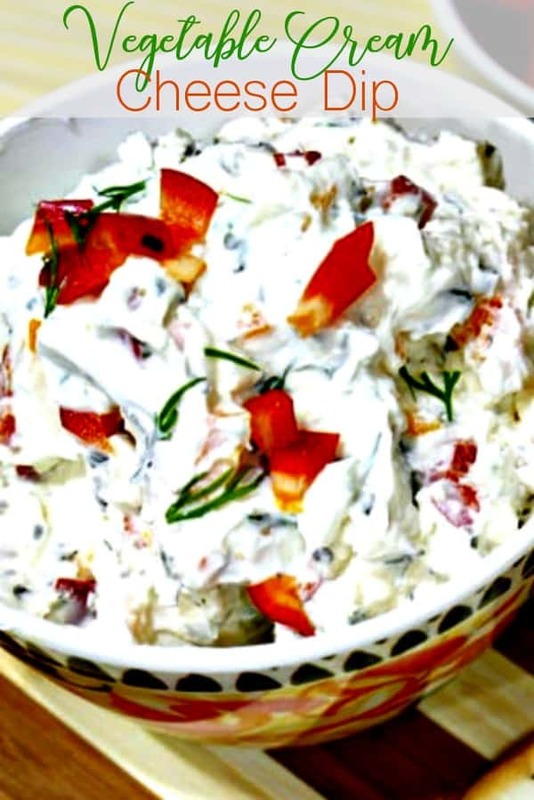 Football viewing parties have begun and today I am sharing a great recipe for an easy vegetable dip using cream cheese and dill that is quick and easy to make. It goes great with raw vegetables, chips, and crackers. I love to use the mini sweet peppers in mine, along with cucumbers, but standard bell peppers work well too! 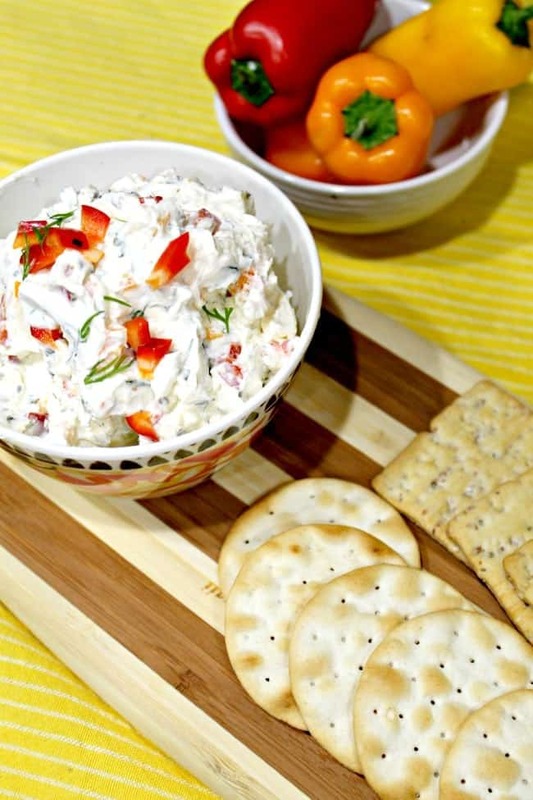 It is a great dip for game day, as a quick fresh appetizer or as a lunch box snack. Glazed Chicken Wings – a nice chicken wing recipe that is kid-friendly and not spicy. 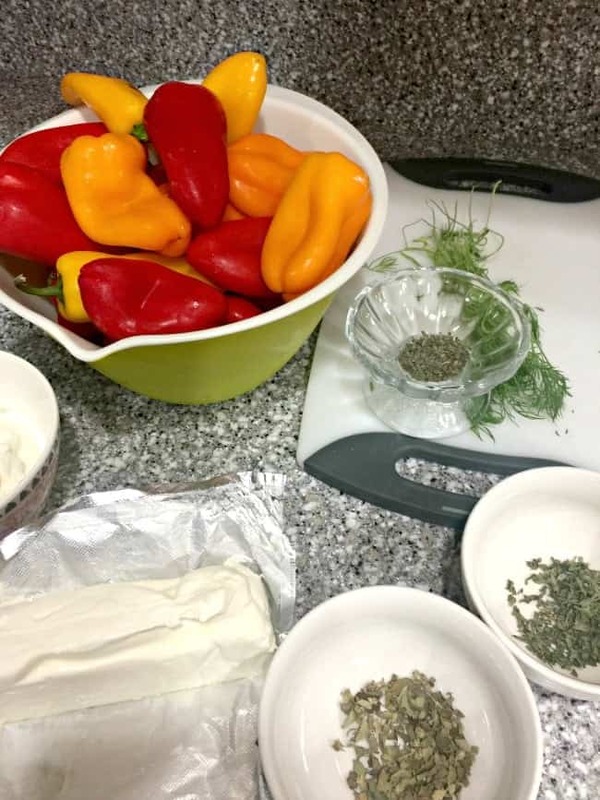 Hot Chorizo Dip– a nice hot appetizer for a cold day or evening. Great with tortilla chips. 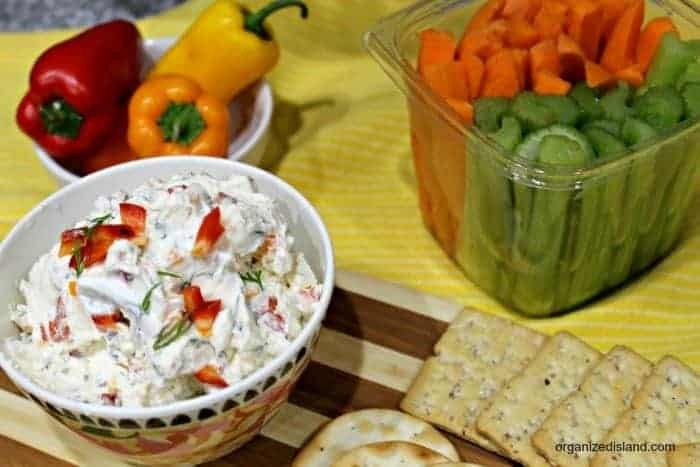 My mother used to make a version of this dip when she and her friends played Bunco. I remember how much fun they would have and it brings back great memories of hearing them all laughing and cheering. Add chopped peppers, cucumber and spices and mix until well-blended. Serve with fresh vegetables, chips or bread. Hope you had a great weekend! 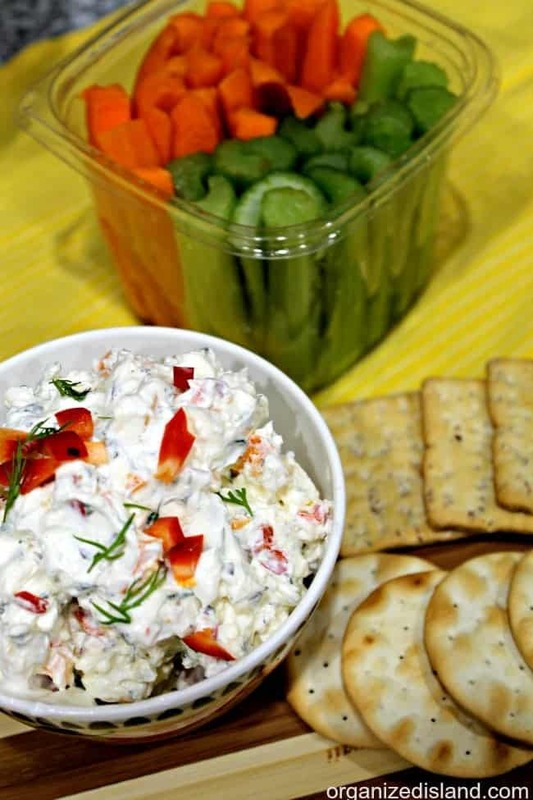 What is your favorite vegetable to enjoy with dip? Wow, that dip looks yummy! This looks so good! 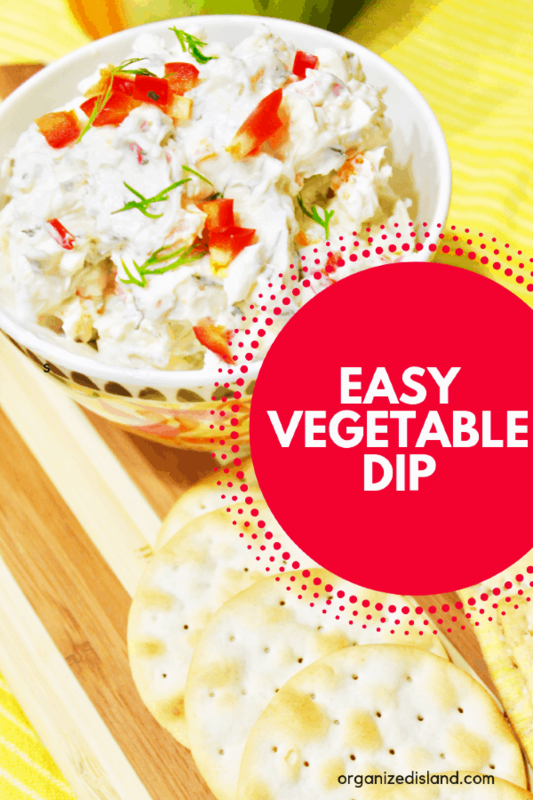 I have a tie with favorite vegetables for dip: broccoli and carrots. And I want to dip a bagel in there too! Yes, great with bagels too! That would be really good with pita chips too!! I just printed the recipe and told my husband I want him to make it for me. =) Thanks for sharing at #HomeMattersParty hope you will join again this week.